Triton Survival is a sci-fi themed 3D action shooter focused on surviving, crafting, gathering resources and blasting waves of alien creatures. Defend the Earth from invasion by surviving in Triton, a satellite of planet Neptune, where you’ll have to build your base, craft items, breed animals, harvest flora, extract minerals, drive vehicles, and construct weapons. 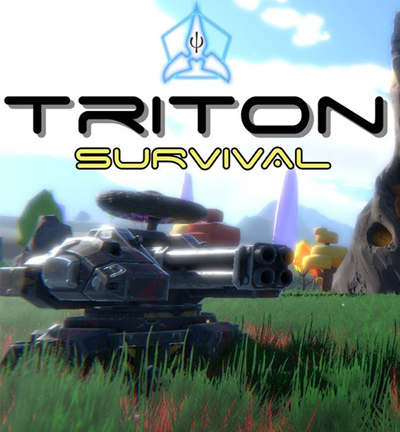 Triton Survival is developed by DreamsSoftGames, a Spanish independent video game studio, creators of Shopping Tycoon, Piggy Princess, Match 3 Revolution, Arkhelom 3D, Tompi Jones and Breakout Invaders. Triton Survival will be released in Early Access in Q2 2019. The full version of the game will be more balanced and it will contain a full 4 players co-op mode and a procedural interplanetary system.